HTOI offers enticing Kerala Tour Packages for you with every genuine essence of the nature, culture, infrastructure, hospitality of Kerala at it’s best. A land of immense diversity, Kerala is a great vacation getaway that offers adventure and relaxation. 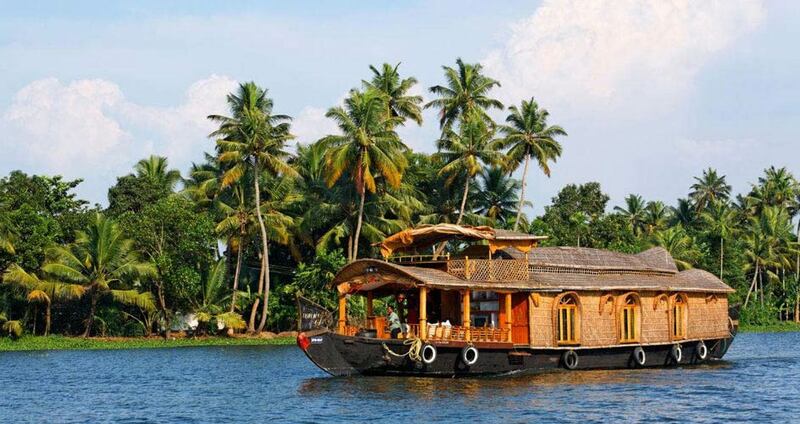 Kerala is often symbolised with placid backwaters amidst lush greenery – a scenery most people dream about. Thats why Kerala is a perfect destination for nature, culture, and relaxation. From misty tea gardens in Munnar to dense forests and wildlife in Thekkady, from a night spent floating in the calm backwaters in Alleppey to a swim in the waters around Kumarakom, this holiday package brings the best that Kerala has to offer. Kerala has got beautiful backwaters, sandy beaches, paddy fields and national parks. One of the first destinations around the world to embrace the concept of eco-tourism, Kerala features several tourist villages that offer an exciting blend of adventure sports and local activities. Kerala and Ayurveda are virtually indistinguishable from each other. With its laid-back beach scene, thick, luscious foliage, swaying elephant rides, blissful temples, and synagogues, and gentle houseboat cruises along tropical backwaters, you will soon see why National Geographic Traveler voted Kerala one of its ten Paradise found. Why is HTOI On The Top Of Best Kerala Tour Packages In India? Get away from daily hectic life and surrender yourself in the lap of Kerala’s backwaters-(omit), nature’s gift to humanity. While discovering the must-see attractions, HTOI aspires to help you uncover genuine experiences that will give you stories worth remembering. HTOI knows the local pulse and flavor. With HTOI, you are sure to enjoy this green jewel in India’s crown to its fullest. HTOI makes visit a memorable one by offering one of the most pocket-friendly Kerala tour packages.